Sumo Digital is an independent game developer based in Sheffield, England. 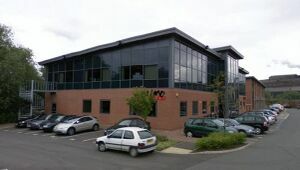 The company was formed in 2003 by the management of Infogrames Sheffield (formerly Gremlin Interactive) following its closure. On 17 August 2007, Sumo was bought by Foundation 9 Entertainment, but continues to function as an independent studio. Sumo develops games for all the major consoles and PC, some of which are Sega licenses.